DIMAPUR, Oct 10, 2017: Faced with the problem of influx and the impending threat of being overwhelmed by illegal immigrants, the residents of a town in Nagaland are firm on their resolution to drive out illegal immigrants from the state. Cementing the 10-point resolution to flush out illegal Bangladeshi immigrants (IBIs) from Chumukedima town in Nagaland, the Tribal Union Chumukedima Town (TUCT) carried out the enumeration drive starting October 9 till October 31. When contacted, TUCT president Lhousito Khro told The Northeast Today two days after the resolution was taken during a public rally held last week, the organisation has already detected as many as 15 non-Nagas who failed to produce valid papers to prove their citizenship. The hue and cry over the unabated entrance of illegal Bangladeshi immigrants all started after a Naga family was allegedly attacked by a group of non-Nagas in the town on September 21. This incident spurred unrest in this town which is located 14km from Nagaland’s commercial hub–Dimapur. Adopting Non-Violence Movement, the residents of Chumukedima, a town which also houses many genuine non-Nagas, took out a public rally last Thursday and unanimously decided to conduct a fresh enumeration drive while assuring minimal harassment to the general public. That, henceforth neither fresh trade license/permit shall be issued to illegal Bangladeshi immigrants (IBIs) nor existing trade permits/licenses shall be issued to them in Chumukedima area. That, henceforth IBIs shall be restricted to carry out all forms of trades and businesses which also include transportation, sale and purchase of domestic animals, fish, fowls and vegetables etc. That, henceforth both commercial and non-commercial vehicles shall not be rented or leased out to the IBIs. That, henceforth no Nagas or for that matter Indians shall buy or sell from this community. That, henceforth IBIs shall be permitted to run any business by holding the name of indigenous local permits nor indigenous locals shall be allowed/permitted to let IBIs run business in their name. IBIs are also totally prohibited to do or run business with indigenous locals on partnership basis. Appeal the state government to strongly and effectively implement the Inner Line Permit (ILP). The State government is further appealed to bring the entire state of Nagaland under the purview of ILP. That, who have already fled since after the incident on Sept 21, 2017 shall not be allowed to come back at any cost. The local land, house-owners are given the responsibility to effectively enforce. In the eventuality of any grievous crime committed by the tenants (IBIs) or IBIs accused absconding, the house/land owners shall be fully liable to bear the responsibility. Therefore house/land owners are warned to take necessary precautionary measures to avoid any unwanted eventuality. Appeal and call upon all the Indian Muslim community in Nagaland and Chumukedima in particular to chalk out/work out the mechanism to trace out the IBIs and to assist the concerned authority in evacuating the IBIs from our land. Also, resolved to request the GBs and chairmen of village councils not to issue Permanent Residential Certificate (PRC) or any certificate to suspected IBIs in future. It may be mentioned that in Nagaland–Dimapur, the largest town and commercial hub, does not come under purview of the ILP system which enables non-Nagas to engage in trade and businesses. According to TUCT president Lhousito Khro, the number of immigrants coming to this town increases by the day. “There is an impending threat that our town will be another Tripura, where the tribals are being overrun by non-indigenous people,” Khro said adding that fresh immigrants enter this town on a daily basis due to the absence of a proper mechanism to track their entry and exit points. Stating that the population ratio in some parts of the town is 50:50 (Naga:Non-Naga), the Tribal Union president reiterated that the state government has not woken up from its deep slumber and it will be too late before it realizes the danger of being governed and an outsider. “The mechanisms to check influx are sloppy and the government is sleeping while a foreigner enters and takes our homes,” Khro said. It may be mentioned that the demand for ILP in uncovered pockets of Nagaland has also been raised by other Nagaland social organisations like the Naga Students Federation. The NSF last week issued a copy of the memorandum addressed to the chief secretary urging the government to check influx of illegal immigrants and implement the Inner Line Permit (ILP) system effectively within a month. Recently on October 3, the Deputy Commissioner of Dimapur, Nagaland Kesonyu Yhome issued a notification in view of the growing concerns of demographic imbalance likely to be caused by the settlement of suspected illegal immigrants in Dimapur town and various parts of the district. In line with this, the DC has directed all the Gaon Buras (GBs) or local headmen to report any abnormal movement/entry of group of migrants/immigrants within 24 hours to the office without fail. Furthermore, he asked the ADC Medziphema/ADC Niuland/SDO(C) Sadar/SDO(C) Dhansiripar/SDO (C) Kuhuboto/EAC Chumukedima to give similar instructions to all GBs within their respective jurisdiction for necessary action. The Commissioner of Police, Dimapur has also been made aware of this notification, while the President, Dimapur District GB’s Association and GB’s Union Dimapur have been asked to take necessary action in consultation with Village Councils and ward authorities. As concerns about influx of illegal immigrants from Bangladesh grow, the enumeration drive is being carried out on directions of the district administration to find out the presence, if any, of illegal immigrants and those without valid documents. “Among all our demands, we have specifically demanded for the proper implementation of ILP in our town as well as owing to the impending external threats,” Khro said. He also informed that raids, checking and inspections are being held on a regular basis to keep a track on the movement of IBIs and the organisation is following it up closely with the district administration, the police and the public. Day one of the Enumeration drive on October 9 saw the active participation of the people of the town. “Non-locals are requested to come forward and apply for fresh documents on producing valid identity cards and so far, everything is running smoothly,” said the TUCT president. 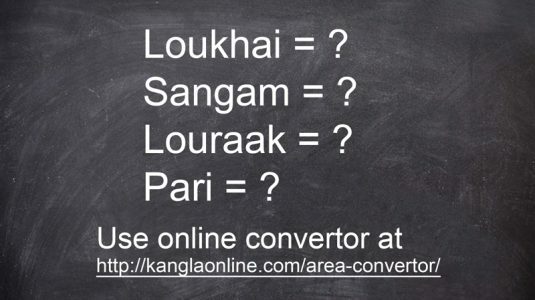 Other than Nagaland, states like Meghalaya, Tripura and Assam are also faced with this major challenge. 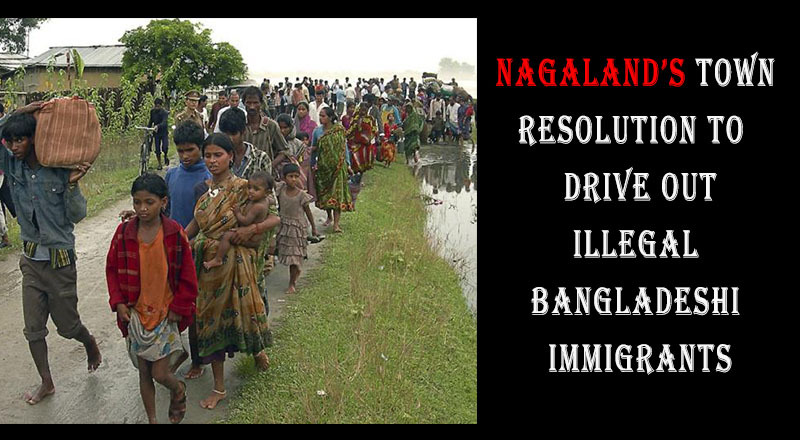 Meghalaya and Assam which shares an international border with Bangladesh are the immediate states that bear the brunt of illegal immigration. International border fencing which have been on the cards for the past decade could not be completed in certain pockets of Meghalaya owing to some challenges relating to lands and rights, but officials claimed that the matter has been resolved and that fencing work is going on in full swing. Implementation of ILP in Meghalaya has been one of the top demands of pressure groups in the state for the past many years, the same of which resulted in many uprisings claiming the lives of many people. This year too, the same issue propped up again but the violence was contained with no loss of life but only damage of properties. It may be mentioned that the Inner line Permits are required by Indians from other states to enter Nagaland, Arunachal Pradesh and Mizoram. The practice started by the British to protect their business interests in the region was continued after Independence with a view of safeguarding the customary tribal practices of the region. (The writer can be reached at [email protected] or mawrie. (dot)iban(at)gmail(dot)com) .